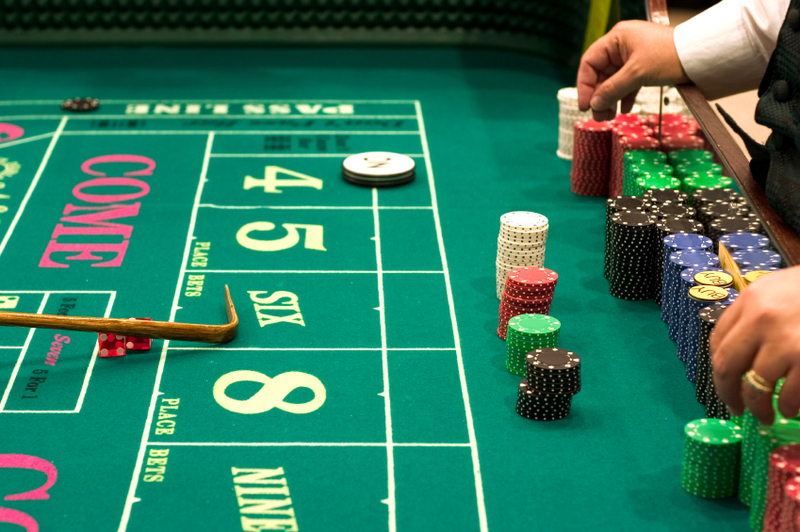 In a perfect world, you’d never have to worry about thieves in the casino. Or if you did, everyone would be on the same team trying to cheat the house, and not each other. Such is not the case in reality, though, especially in cities like Las Vegas or Atlantic City, where gambling and alcohol not only attracts the cream of the gambling crop. What am I getting at? Well, at the craps table, unless you’re aware of your surroundings, leaving your chips without a plan is like laying out cheese for a rat. With the pit crews watching the players everywhere for signs of a cheater, it’s less likely they’ll focus in on a quick thief as much as you’d like to believe. And in the world of craps, where you’re probably standing up, cheering with the mob, watching waitresses go by, paying attention to the board and the roll for longer than you should – it all makes an ideal setting for a talented thief. It’s your responsibility to keep a close eye on your chips. Because getting them stolen is just going in the hole the wrong way, and it can be prevented. The thieves can be just a professional as the players at the blackjack table, and they, too, often work in teams. One will distract, one will create a diversion, and before you can look back a third person has made off with half your stack. Surely, your attention can’t be on your chips the entire time, and if you’re there for a while, you’re going to have more than you can hold in your hand, so how else can you protect them? The other players aren’t interested in watching over your money, neither is the dealer. So your best course of action is to minimize the opportunity for a major loss. I read a great tactic that I highly recommend, called capping. This involves putting a souvenir, $1 chip on the end of each roll, and always keep your chips in a plastic house – tightly packed. Have extra $1 chips to ensure your stacks stay tightly packed. Yeah, it takes constant attention, but a thief is much less likely to risk exposure trying to grab some loose $1 chips. In addition, they know it’s extremely difficult to take packed chips from the middle of a housed stack. It’s not even worth risking. And if they pull one out from the end, it’s a $1 chip that you’ll notice is missing (because it’s a different color than the other chips) – so you lose nothing but gain the knowledge that it’s not a safe playing environment.